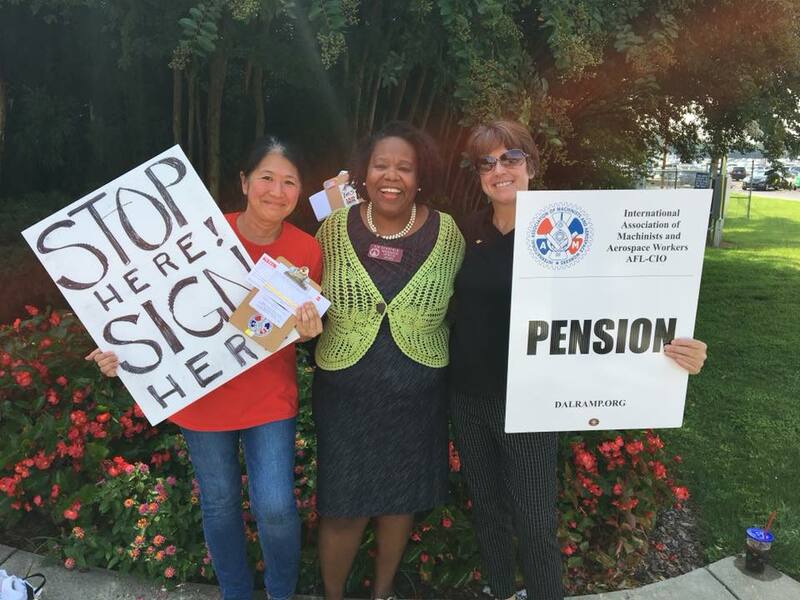 The IAM-Delta organizing campaigns for ramp workers and flight attendants last week held a visibility rally in Atlanta that drew approximately 150 participants from around the country. The event was such a rousing success that Delta called the College Park police in an effort to stop Delta workers and activists from signing IAM cards, hand-billing and displaying signs near the World Lot. Delta tried to squash and ruin the spirit of the event. They failed! Hundreds of cards were signed and many volunteered to become card-carrying activists. Delta claims to have a unique work culture, a family culture. But what family tries to silence the voices of their “family”? What family doesn’t want to improve the lives of their “family”? Is suppressing the rapidly growing amount of employees who want the Machinists Union, who want to be heard, who want to better their work environment, the way a unique work culture works? Delta knows we are fast approaching the day when we can call for an IAM representation election. Don’t let them censor your right to have a voice! One Response to "IAM-DELTA VISIBILITY TRIUMPHS DESPITE COMPANY INTERFERENCE"